Weekend Wordfest : 777 + Introducing Snazzy Snippets - fairy skeletons. Hey all! For this week's wordfest, I'm bringing you all some of my own writing again, in the form of two different excuses to share snippets of my WIP On the Midnight Streets. Share 7 lines from the 7th page of one of your manuscripts. Then, tag 7 bloggers. 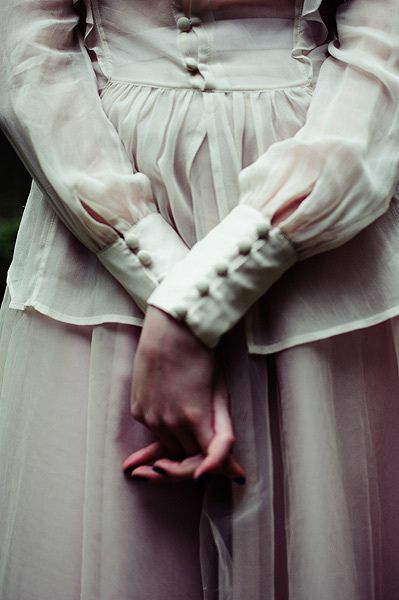 The following bit is the first seven lines of OtMS's third chapter, told from my heroine Chantilly's point of view. She and her family are being escorted to the Upper City (the wealthy neighborhood of their city, Peralton) from their home in the Middle City, as they've just come into an absurdly large inheritance and have to leave behind all they've ever known. The carriage has stopped at the wall. I’ve heard tell that Peralton’s walls were built over the bones of Clarabel and Rosalind’s fallen supporters, and I can believe it now, seeing it tower over us like the entrance to a grave. Again I have to fight the urge to shrink down into my seat, ashamed of how disheveled I must look, when a thin, balding man, presumably a wall guard, leans over to speak through the carriage window. We’ve all put on our best clothes for the move to the Upper City, but we’re wearing years of work on our hands and the thinness of not-quite-enough on our faces, too. 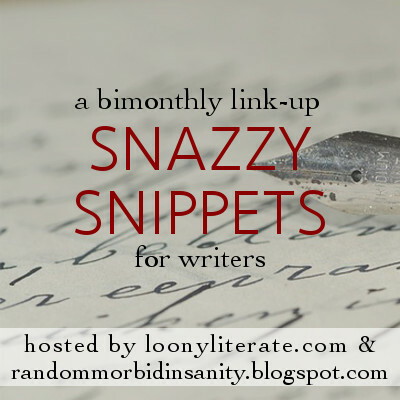 Up next: Snazzy Snippets, a delightful new linkup brought to the Internet by the devious and brilliant minds of Alyssa @ The Devil Orders Takeout and Emily @ Loony Literate. It's basically the best excuse ever to pour my writing onto you all. The snippet I'm sharing this first round fulfills two of the linkup's 'themes': A snippet that's mostly dialogue and a snippet that shows your MC's personality. This is from the seventh chapter of OtMS, in which Chantilly has a confrontation with a policeman (just the first of many to be had in the future, I'm sure). (Wow, I just realized there are going to be way too many policemen in this book.) The following snippet showcases a part of Chantilly's personality that she herself doesn't know too much about yet—Social Justice Chantilly. Also, Eloquent Rage Chantilly. So what do you think? Is my novel a train wreck? Did you link up with Snazzy Snippets (if not, DO IT)? By the way, if you'd like to read OtMS, you can do that on Figment or Wattpad. YAY THANK YOU FOR LINKING UP! And clearly because I stalk OtMS too much I have read both these snippets, but they are still glorious as the first time. And gah, I hadn't noticed the Peralton's walls + bones/grave imagery before (or I don't remember?) but it has such a lovely sense of foreboding as Chantilly and family move into the Upper City. Reading Social Justice Chantilly makes me so happy. Eloquent Rage is also an excellent way to describe it, even if it sounds something like a Pokemon move (which, y'know, is a fabulous thing too). Whenever I try to go social justice it ends up "NO STOP ASJKD NO". Which is not the most effective of arguments. YOU ARE, OF COURSE, TOTALLY WELCOME! Oh thank goodness. I feel like you are singlehandedly reassuring me of OtMS's re-readability. (Thank you for that.) And oooh, I'm glad that imagery worked for you! Writing Social Justice Chantilly makes me happy, too! :D And OMG, I just read that next sentence and now I can't stop thinking, "A wild Chantilly appears!" Eloquent Rage would probably be a Pokemon move, tbh. Yes! These were both totally snazzy! I absolutely LOVED the scene where Chantilly confronted the police officers! I love Social Justice Chantilly and Eloquent Rage Chantilly. They are my favorite flavor of Chantilly. I'm also a fan of sassy Finn! This post made me want to dive back in to the story STAT! You'll definitely see me putzing around your Wattpad page in the next few days. I loved your snazzy snippets!! AND YOU REMINDED ME I STILL NEED TO LINK UP. (Oops, hehe) Also this: "but we’re wearing years of work on our hands" is amazing and so visual. SO UM. WELL DONE. YOU'RE INCREDIBLE. *flails around excitedly* THANK YOU SO MUCH! (I'm sure you and Chantilly would get along famously. :D) Ahh yes, do join up with some snippets next time! Alyssa and Emily are so great for thinking up something so marvelous. What a nice idea, and thank you for sharing your work-in-progress! YOUR WRITING IS SO PRETTY. And I want to read this so bad now. That is all, except for the fact that I've just found your blog and I'm enjoying it a lot.